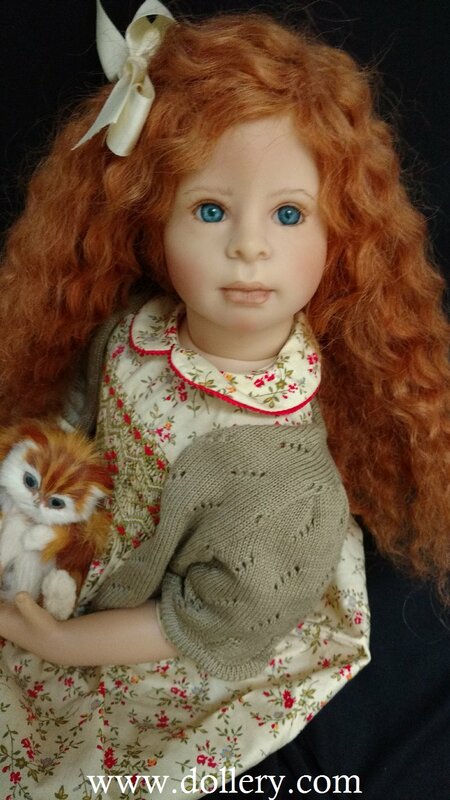 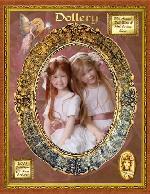 20 inches standing vinyl doll, brown eyes, reddish brown hair. 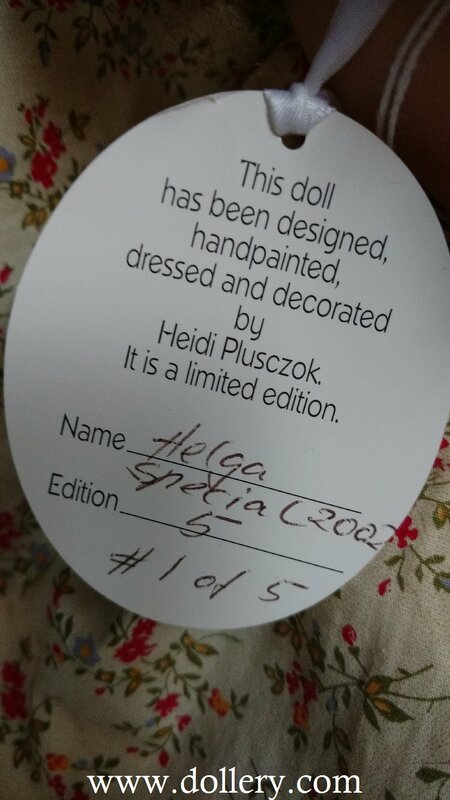 Limited edition of 1/5, 2002 doll. 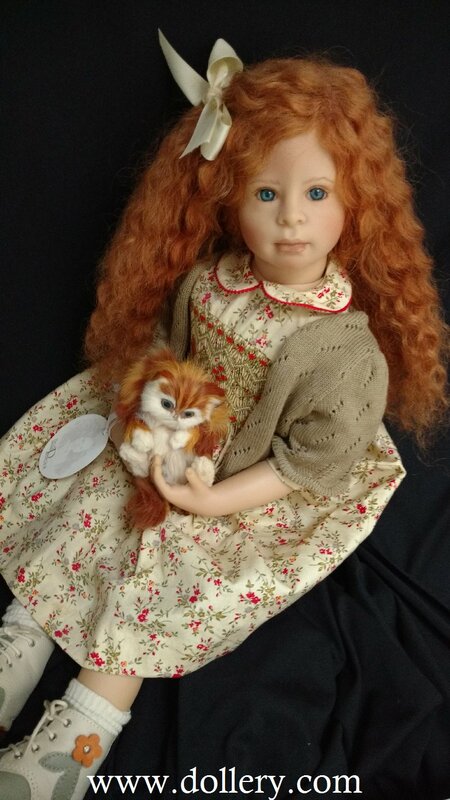 20 inches standing, 13 inches seated, vinyl. 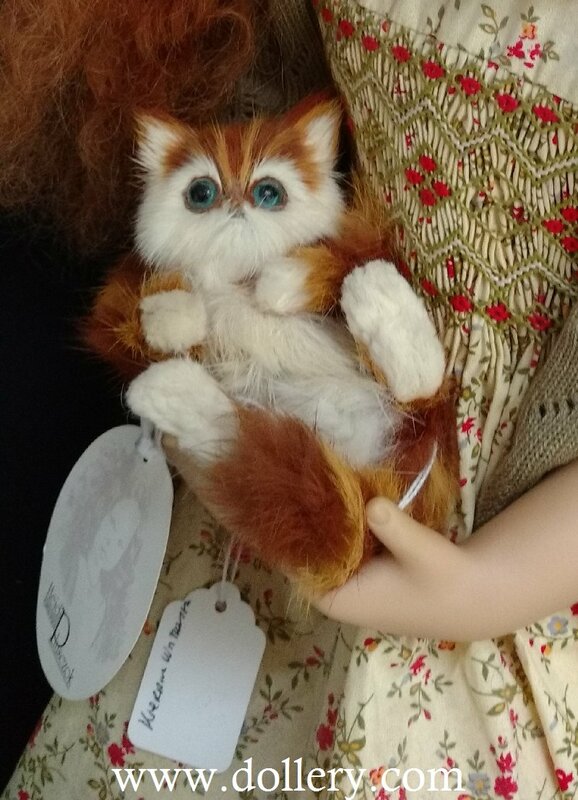 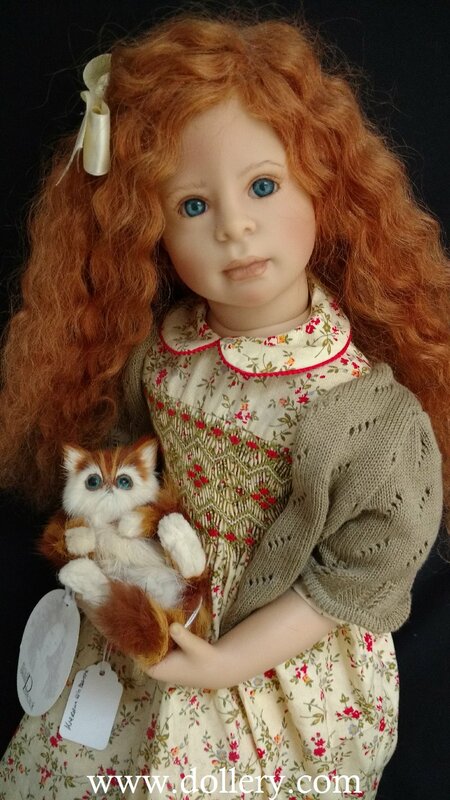 Doll in good condition, comes with cat, no scratches or defects.